Amity International School Sec-43, Gurgaon got 100% results in Class X CBSE Examinations. Out of 55 students, 53 got first division. 12 students got 90% and above. Pooja Jain topped the School by scoring 95% marks while Vivek Garg and Akansha Mishra scored 94.4% marks each. Namita Sethi came close third by scoring 94.2%. 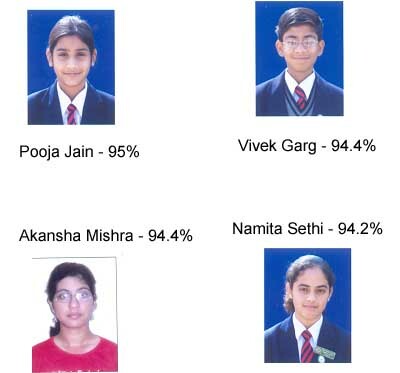 Vivek Garg, Sarthak Puri, Namita Sethi, Pooja Jain, Harsimran Singh Bedi scored perfect 100 in Mathematics.